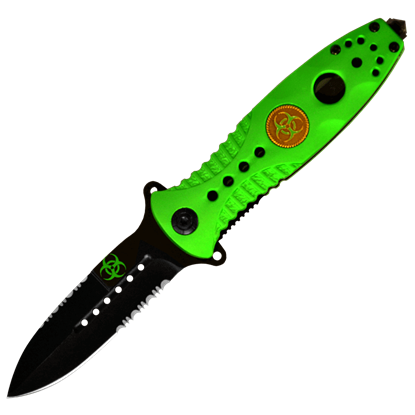 No one really wants to get up close and personal with a zombie, but, if it happens, you will want to make sure you are equipped with a functional blade! These zombie knives and zombie daggers have been crafted with survival in mind. 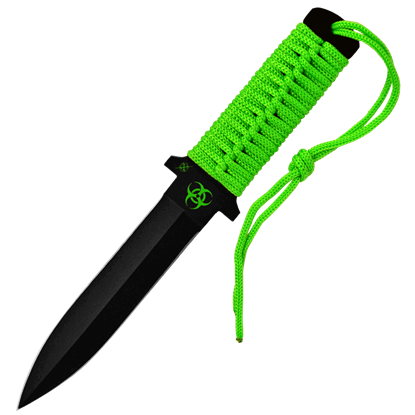 In this category, you will an excellent variety of survival knife styles like Bowie knives, field knives, camp knives, skinner knives, and utility knives. 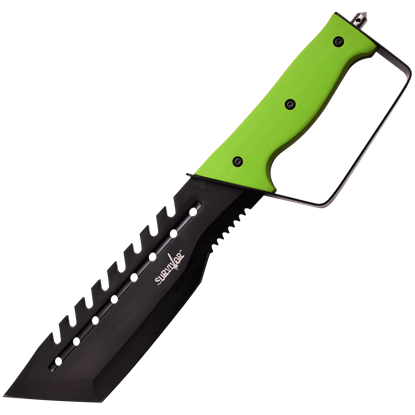 These outdoor knives will help keep you alive when on the run from the horde. 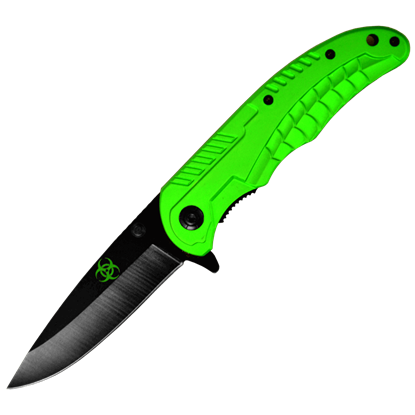 Alternately, check out our other tactical dagger styles like zombie cleavers, zombie karambits, military knives, push blades, and other kinds of combat knives perfect for fighting back against the undead. 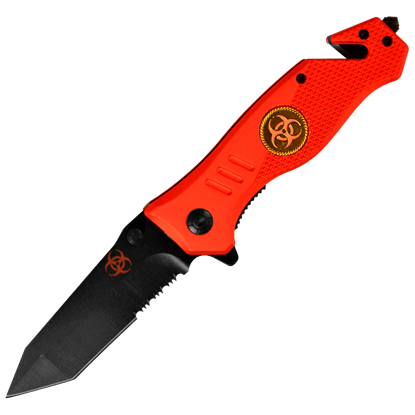 Our zombie apocalypse blades range in size from uber-portable neck knives, boot knives, and folding knives to hefty Gurkhas, saber claws, and bayonet knives, so you can be sure to find one that fits your needs. 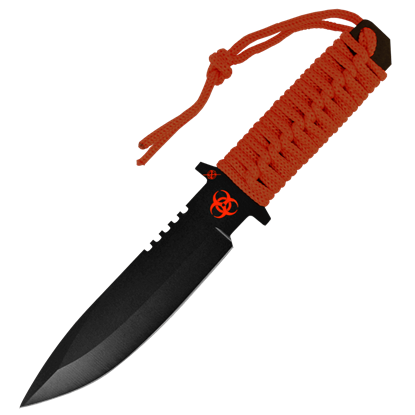 Browse our fantastic selection of survival daggers and tactical knives to find excellent options for your bug out bag or home arsenal. A wicked looking weapon, the Angel of Death Zombie Blade will make anyone look like the latest incarnation of the Grim Reaper. 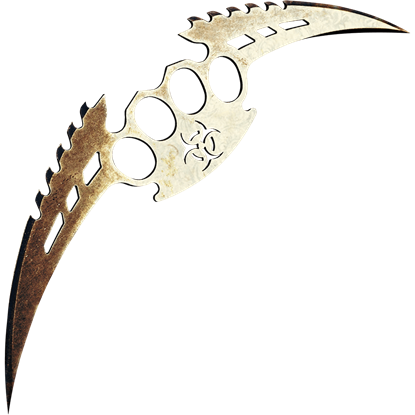 The unique knuckle duster design features long, slightly curved blades extending from each side. 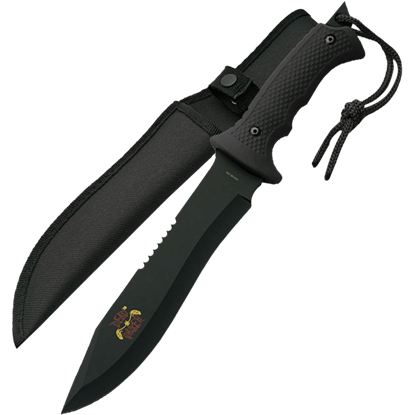 For tactical situations and defense, the Black Boot Knife with Sheath is essential. 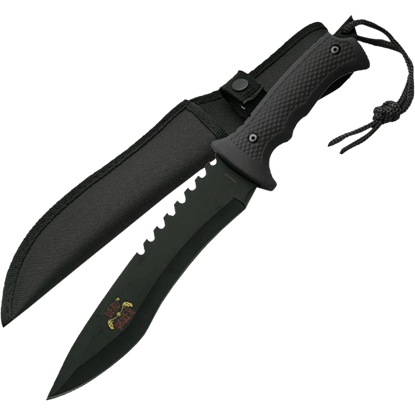 This black knife has a long, double-edged blade that tapers to a wicked point, paired with a matching, contoured black handle and sheath for safety. With the world overrun by the undead zombie horde, you will want to ensure that you are prepared for an attack at any moment. 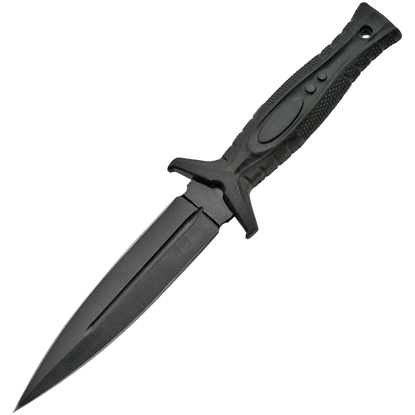 The Black Dead Walker Hunter Knife shows off a black handle that matches the blackened finish of the blade. When heading out to take care of the latest horde of zombie walkers, you should make sure that you are well-equipped for your task. 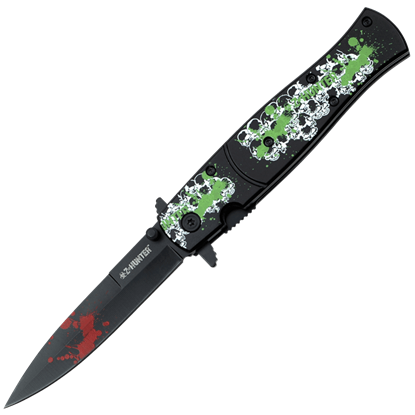 The Black Dead Walker Sawback Knife displays a matte black handle and blackened blade finish. When you want a blade with multiple potential uses, be sure the check out the Black Sawback Survival Tanto Knife. The tanto shape gives the blade a great piercing point, while the teeth on the back enable the survival knife to saw. Every survivor in the zombie apocalypse will want to have a hidden weapon if the fight ever gets too close within reach. 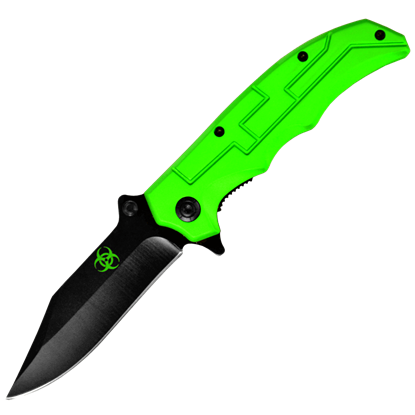 With the Black Skull Fold Out Knife, that is exactly what you will have on hand.